~a scented journey from Canada to Grasse. How time flies! In our last post, we spoke about the roses of May, one of the important ‘Fleurs d’Exception‘ that make Grasse famous. 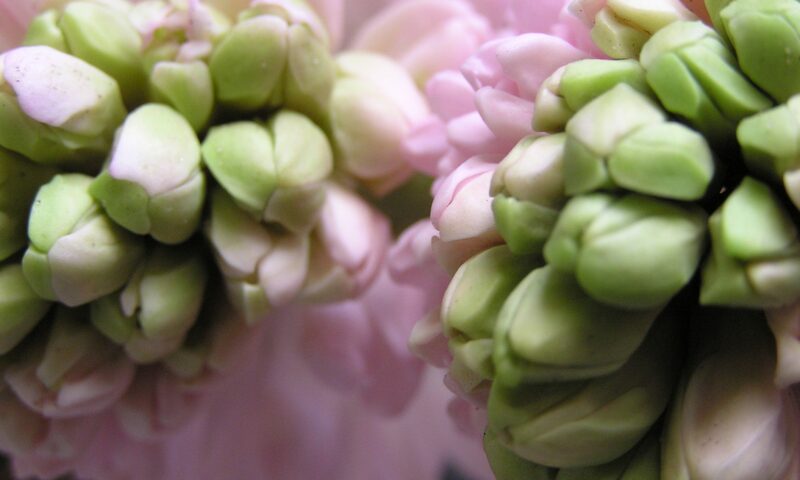 Now here we are already in September, the season of the Tuberose, and since last month until sometime in October, (depending on the weather), it is also the season of the Jasmine grandiflorum. These are all highly fragrant flowers, and are used extensively in the fine fragrance industry. They are considered ‘noble’ raw materials. These flowers, amongst others, are still produced in the Grasse region (the Pays de Grasse), and are often picked by teams of Gypsy (Gitane, Roma) women, who arrive early every morning at the farms to pick only the flowers that are newly opened. For the rose and jasmine, this means every single morning throughout the blooming period. I have picked with these women, and they joke that only they are willing to do this hard work. They laugh and tell me that the French are not willing to work so hard. The pickers are paid per kilo, and to give an example, it takes about 800kg of jasmine blossoms to make 1 kilo of absolute- each blossom delicately picked by hand in the early morning before the sun gets too high or too hot. For the extraction, all is done by solvent (hexane) extraction, to produce a waxy concrete, followed by an alcohol wash, which is then vacuum distilled off, to yield the final purified absolute. In Bulgaria and Turkey, roses are also steam distilled to yield the precious essential oil, but Grasse is producing for the perfume industry, so absolutes are the most economical and complete extracts. Next post I will talk about the art of grafting… something that is a big part of the rose and jasmine plants of Grasse. In other news: as you know, I have been developing a new collection of fragrances for 1000 Flowers. Of course, being an independent artisan company, that means wearing the hat for all stages of creation and production. Even the graphic design is all my own work, since design is my secondary passion, behind perfume creation itself. So in the lab, in the middle of the old city of Grasse, all stages of the Blue Collection are being developed and refined. We first spoke about this almost 10 months ago. At the time, I had become a client of the amazing Biolandes for some of our key natural raw materials for the collection, and had anticipated launching the collection in May. However, I made the mistake of trying to work with local printing companies for the labels, and, very long story short, lost the whole summer and several hundred euros in being run-around by one local company in particular. I have learned a very valuable lesson: in France, if you are a small company, working on a shoestring, you will not be taken seriously. Sadly, the concept of ‘starting small’ is not yet respected or understood here, as it is in Canada or the UK. In the end, I had to go to the UK for my labels, and these are expected to arrive next week. The beautiful month of May is the season of the Rose in the Grasse region of the south of France. In the fields of roses, which still exist in the region around the old perfume city, the pickers go out every morning throughout the short season, and harvest the open blossoms. These are then taken to the factories where primarily solvent extraction takes place to yield the concrete, and then the absolute of rose. The Rose de Mai is traditionally the Rosa centifolia variety, but there is also some production of Rosa damascena in the area. In the new collection of perfumes soon to be announced from 1000 Flowers, we will be featuring an organic Rosa damascena extract sourced from a small producer near Grasse. In the meantime, here is a lovely report from French TV about the current season of roses. It’s once again Spring in the south of France. This year, the various seasonal flowers (such as mimosa) were all blooming and finishing their blooming cycle about 1 month earlier than usual. We really didn’t have much of a winter, and the cold part of the season actually happened in March. However, here we are 2 days before my birthday, and the flowers that always mark this day for me, are opening now, right on cue. These are the fragrant and graceful purple wisteria with the first roses, that cover many garden walls, and fences, and arbours of the region. And at the same time, the intoxicating spring jasmine is also now in bloom, tumbling over walls and fences. So all is well in the world. Otherwise, as I have written in recent posts, I have been working for the last several months on the new collection of 4 fragrances called The Blue Collection. These are taking longer than I anticipated, as I am determined that they will be as close to perfection as I can possibly make them. This said, as an independent perfumer, working alone in my little lab in Grasse, like the perfume days of the past, 4 great perfumes take longer than 4 weeks to create. But we are almost there, and have now connected with some amazing designers and printers in Croatia, (ask me for contacts if you are looking for this kind of service), and the labels will go to print next week. The ribbon must be ordered, and the outer boxes modified and prepped. And then…. FINALLY, we will launch. I will keep you posted. In other news: we have just launched a travel-size spray (8ml) for the 5 original fragrances, including of course, Reglisse Noire, and they are available in the 1000 Flowers boutique as of today. They retail for 22CAD each (plus minimal shipping since they are light and compact). This is a great way to try the fragrances, but also as a purse/pocket travel format, since they are refillable as well. Also, all 1000 Flowers fragrances are now made with 100% certified organic alcohol. So, that’s all for now! Life as an expat perfumer living in Grasse continues! Please don’t hesitate to write to me if you have any ideas, questions, suggestions comments etc. I feel far away from my native land and all my wonderful clients sometimes, hidden away in my atelier, so it’s always nice to have some news. She shared with him her love of flowers and perfume (especially roses and violets), and he shared with her sensuous parts of his culture, such as incense and oudwood, and the fragrant spices of his eastern cuisine. Together they began an exploration of the senses. Love is Sweet represents the feminine in this story- full of roses, violets, vanilla, patchouli coeur, amber, and precious woods. Ode to Him is the masculine counterpart- fresh with the cool notes of cardamom and coriander, richly layered with oudwood, cedar, and resins of faraway lands. These fragrant compositions contain high concentrations of precious natural materials such as Rose, Vanilla pods, Patchouli coeur, Sandalwood, and Orris. Wishing you all a fragrant and happy holiday season! Wondering why there has been no news from 1000 Flowers for quite some time? A consuming and exciting project has been in the works… The story of which I will share in this entry. It’s been clear for some time now, that my dream has been to base my company here in the south of France; in the perfume capital of Grasse. For the last three years I have voyaged back and forth between here and Canada, stretching pennies, juggling apartment rentals, sublets, suitcases, storage lockers, raw materials, and all the myriad of details involved in attempting to make a new home in a foreign country. Not to mention all the work in building my company at the same time. Ever since perfumery school back in 2007, I have felt strongly that my heart has belonged here. Sometimes I have cursed this feeling, since my life would be so much simpler, and so much easier if I could just feel the same deep sense of wonder and belonging in my own native country! Not that I don’t love Canada- I do, it’s just that, for me, there is a sense of magic in the Alpes-Maritimes region of France that has caught me inextricably in its lovely spell and refuses to let me go. Mimosa in February... one of the magical things about this region. Not long after my arrival this time, I learned about a new organization here in Grasse, called the Pépinière d’Entreprises InnovaGrasse- which is a ‘business nursery’ or what we might call a business incubator. This one is geared specifically toward the perfume and cosmetic sector since it is located in the heart of the traditional French perfume region. It is housed in the newly renovated Roure Bertrand perfume factory. The inauguration for this organization was only September 2010- so it is brand new. For the last 5 weeks or so, I have been working like mad to write a full business plan, and put together a presentation to showcase 1000 Flowers and my plans for the future. My deadline was March 9th. I worked right up until the last hour and then with powerpoint transferred from Mac to PC with some funny errors; I stood before a panel 12 people who came from various economic and business development positions for the Grasse and Nice regions. It was quite formal, as these things are in France- like one of those boardroom presentations that one sees in movies. It was rather surreal! Afterward, they had number of questions to ask me, before shooing me from the room to discuss and decide if they were going to accept me or not. About 20 min later, during which time I sat, barely breathing with anticipation, looking out a huge window with a perfect view of the old city of Grasse… and waited. When they called me back in- they immediately informed me that the answer was yes. A few more questions followed, then one of them, a man from the economic development sector- looked at me and said- “We are all here for you, so whatever you need, you tell us- we are here to help you.” At that point, I was practically exploding with happiness- and the realization, that finally, all the work, persistence and suffering of the past few years was finally made completely worthwhile. The old factory as it was in its glory days- surrounded by terraced gardens. SOME HISTORY– Roure Bertrand, established in 1820, was one of the very first companies in Grasse that was established to provide natural raw materials to the perfume industry. (Rose, jasmine and tuberose, etc). The industry at this time, was based on the perfuming of leather gloves, and Grasse was the centre for this art. The company went through various incarnations before eventually being absorbed into Givaudan- the Swiss giant perfume production house. The large building on the left is the location of the Pepiniere, and my office/studio will be on the third floor. Note the original red brick chimney that is so classic to these old factories of the region. The large warehouse that now houses Pépinière used to be the enfleurage section of the factory- where mountains of flowers were made into absolutes in the now antiquated tradition of enfleurage– of laying fresh flowers in trays of fat to extract their sweetness. A full history of Roure Bertrand can be found here. (in French) And a more general history of the Grasse perfume industry here. The Pepiniere main floor… painted a very ‘creative’ colour of lime green. Offices run down either side of the space. Looking toward the old Roure factory from the centre of the old city of Grasse. There will be in total 27 offices opened to small business’ who qualify to be taken under the wing of this organization. I have the honour of being the eleventh member of the group. The Pepiniere as of 2010. But historically, during the old days- this is the building where the Enfleurage production took place. And now- I must return to Canada once more; this time to apply for the correct visa to launch my company in France. With the acceptance letter in hand from the Pepiniere, I think this stage will be quite easy. As well, there are a lot of details still to work out as to how 1000 Flowers products will be produced in Canada so that they don’t have to be shipped from France. This will be an interesting and complex plan- but I know that things will continue to fall into place as they have so beautifully already.